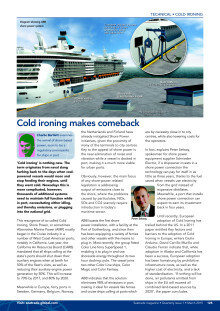 Image credit: Care of DNV GL, ©Toftenes Multivisjon. “We supported research and development into electric cars in Norway, now we need to establish an innovation platform for the electrification of ships,” Sofus Gedde Dahl, Managing Director of Cavotec Norway, recently told Norwegian technology publication Teknisk Ukeblad. 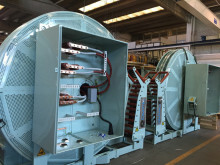 The project, named ReCharge, is headed by leading certification and classification group DNV GL. 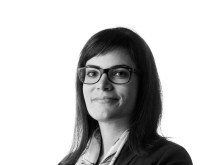 Along with Cavotec, Port of Oslo is also partnering on the project, together with Enova, a technology- and data analytics-driven online lending company, which is contributing almost half of the project’s total NOK 1.45 million budget. 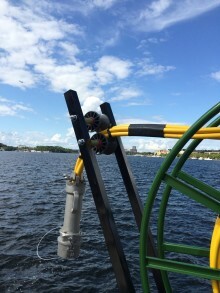 ReCharge will review the practicalities of expanding the availability of shore power at Norway’s ports, and research different power systems, such as battery-powered vessels and hybrids. 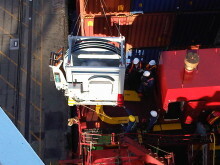 Shore power, or cold ironing, is the process of connecting ships in port to the electrical grid and switching off their engines. 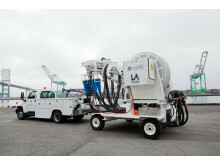 This reduces emissions of NOx, SOx, and particulate matter. 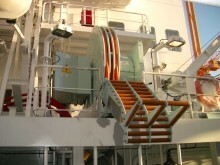 Cavotec has extensive experience of the design, manufacture and installation of high and low voltage ship-based, shore-based, and mobile shore power, or Alternative Maritime Power (AMP) systems. The Group first started working with AMP in the 1980s in Sweden, and has since supported customers worldwide with the technology. 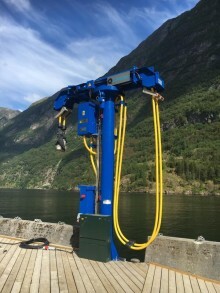 The Group also developed the world’s first combined Cavotec MoorMaster™ automated mooring and AMP system for two passenger ferry berths in the Norwegian fjords. 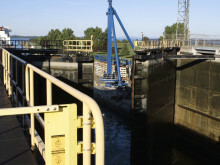 The AMP system in this application recharges batteries aboard a battery-powered passenger ferry. 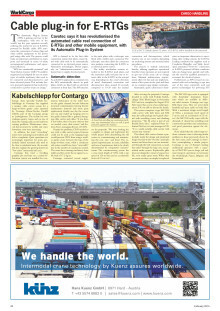 ReCharge conveners say that they want to see Norway become the world leader in environmentally friendly ships. And while Norway is not an EU state, improved availability of shore power would keep it in line with conditions of an EU directive which requires all ports in the 28-member bloc to make shore power available by 2025. 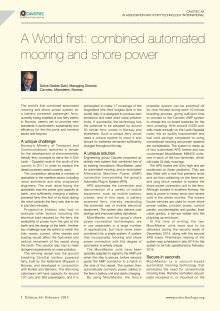 “Charging options are critically important for batter-powered ships and plug-in hybrid vessels. 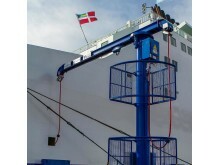 Shore power will therefore play an increasingly important role in port infrastructure of the future,” says Project Leader Hans Anton Tvete, DNV GL. 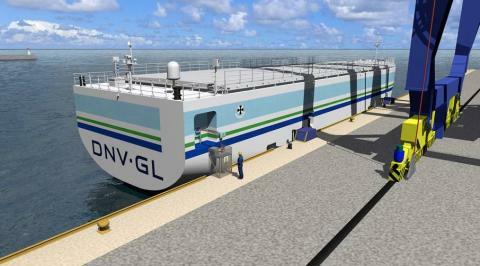 According to DNV GL, some 40 hybrid ships are on order for Norwegian shipping lines, with a similar number of plug-in hybrid vessels also due to enter service in the coming years. 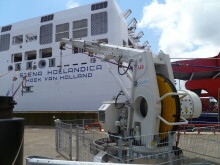 Organisers have also stressed the role of government support in expanding the availability of shore power. “To establish shore power and associated infrastructure, we need the support of central government. The development of infrastructure is critical. 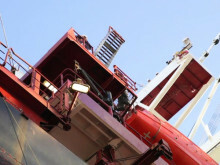 Shipping lines want to see a return on their investment within a relatively short time scale,” Bjørn Vartdal, Programme Leader for Maritime Research at DNV GL told Teknisk Ukeblad. 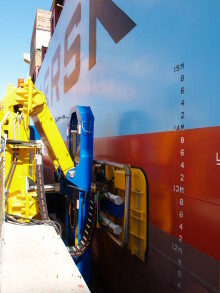 On the technical side, Cavotec points out that despite the difference between voltages used by many ships, (60Hz), and on land, (50Hz), it is possible for growing numbers of vessels to connect to shore power. “If we pool our expertise with fellow suppliers, customers and other stakeholders, I believe that we have the necessary technical know-how and insight to significantly broaden access to shore power,” says Gedde Dahl. This post is based on an article that first appeared in Norwegian technology publication Teknisk Ukeblad. 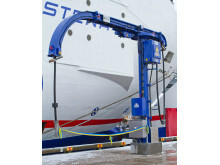 Cavotec recently co-hosted the opening of the what is believed to be the first shore power application for offshore vessels in the Norwegian port of Bergen.